Our Compact 2 lights have all the attributes of its big brother the COMPACT 4, however they are only half its size. 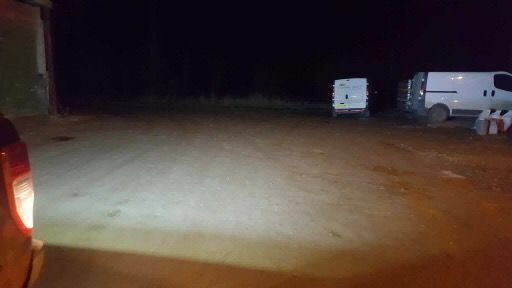 Fitted with 2 x10w CREE LEDs and producing 1600 lumens, they come with a choice of either flood, spot or scene reflective beam patterns. This small light unit certainly packs a punch when it comes to lumen output. Very versatile due to its small size means it can be fitted virtually anywhere, while its flexible mounting bracket gives 90 degree’s of fitment. 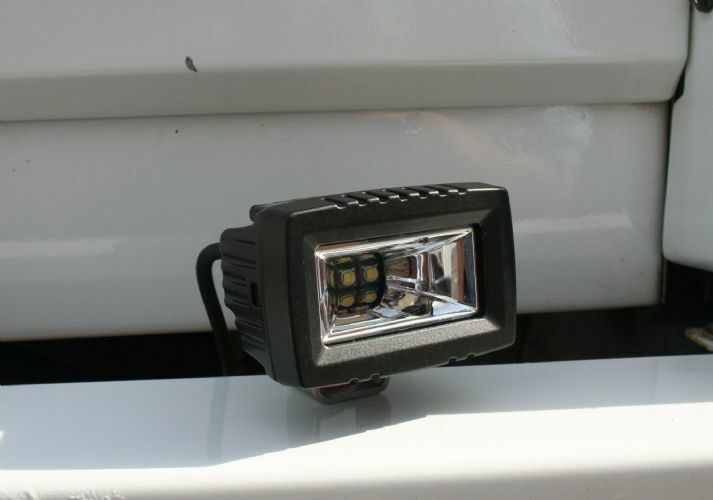 Ideal reverse light or mounting in a grille or smaller apertures when discreet illumination is required. Fully ECE Approved to ECE R10 Standard. Also available as a flush mount option. 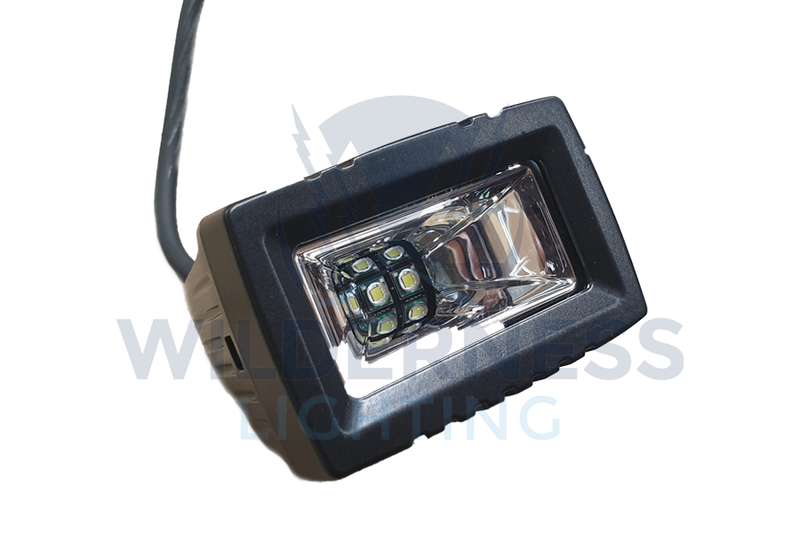 These COMPACT 2 lights come with a water proof Deutsch connector on the light together with a matching connector with wire tail. A full wiring harness can be purchased separately from our accessory page. Mounting brackets and hard ware also included ready for installation.